With more than a half a billion people living in Zika affected countries, the WHO (along with the CDC, ECDC, and other agencies) continues to produce an impressive array of interim guidance documents on Zika and its suspected links to Guillain-Barré Syndrome (GBS), and microcephaly. The operative word here is `Interim', as there is still we don't know about Zika's effects, and these documents - while based on the best information we have today - are subject to change. The first two documents (GBS & Microcephaly) are fairly technical and of primary interest to health care providers, while the third (Breastfeeding & Zika) is of concern to both HCWs and the general public. First the links, and then some excerpts from the Breastfeeding guidance. 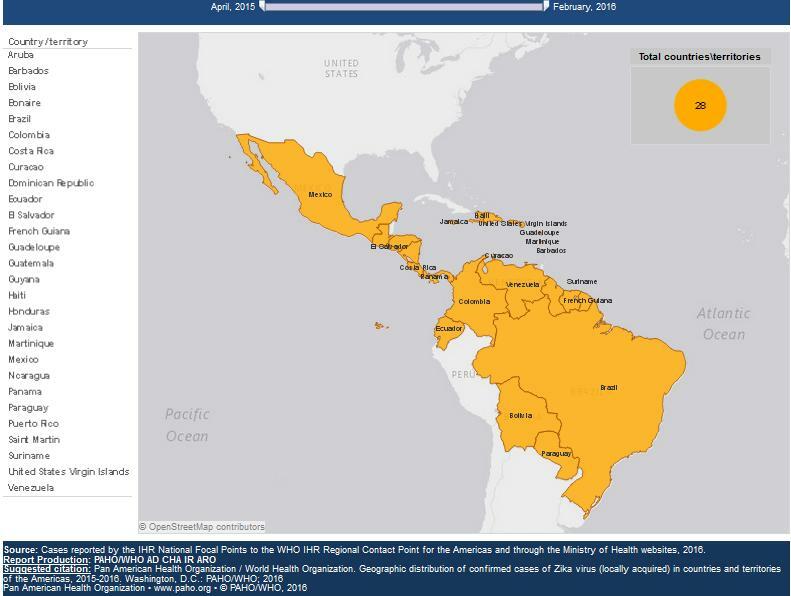 WHO, together with partners, has developed technical guidance and training materials that can be used by countries to further strengthen their capacities to prepare and respond to Zika virus disease, microcephaly and Guillain–Barré syndrome. The World Health Organization (WHO) recommends that infants start breastfeeding within one hour of birth, are exclusively breastfed for six months, with timely introduction of adequate, safe and properly fed complementary foods while continuing breastfeeding for up to two years of age or beyond . a. Current WHO breastfeeding recommendations remain valid in the current context of Zika virus transmission. b. Mothers with suspected, probable or confirmed Zika virus infection, during pregnancy or postnatally, should receive skilled support from health care workers to initiate and sustain breastfeeding, like all other mothers. Likewise, mothers and families of infants with suspected, probable or confirmed Zika virus infection should receive skilled support to adequately breastfeed their infants. Breastfeeding has significant benefits for mothers and children, in low- and middle-income countries as well as high-income countries. Breastfeeding contributes towards sustainable development goals related to maternal and child health, nutrition, education, poverty reduction and economic growth . Zika virus RNA has been detected in breast milk from two mothers with confirmed Zika virus infection, but no replicative virus was identified in cell culture . The breast milk samples where Zika virus RNA was found were collected at a time when the mothers were RT-PCR positive for Zika virus in serum samples and had clinical disease. There are currently no documented reports of Zika virus being transmitted to infants through breastfeeding. The frequency of virus detection, virus kinetics and size of viral load of Zika virus in breast milk is unknown. In countries with ongoing transmission of Zika virus, no adverse neurologic outcomes or severe diseases have been reported to date from infants with postnatally acquired Zika infection. Any change to this situation should be carefully monitored. In light of available evidence, the benefits of breastfeeding for the infant and mother outweigh any potential risk of Zika virus transmission through breast milk.